For Yokohama and its vicinity, we're showing you all the registered pools, some of them have no GPS coordinates and cannot be found on the map at the map. There are often discounts available to senior citizens and small children for independent swim. 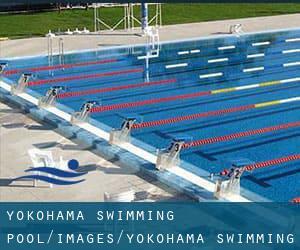 Discover by contacting your nearest pool among these varieties of Yokohama Swimming Pool. Do you realize of any Pools in Spain that should really be listed here? Contact us!. Are you on holiday and want to keep fit and healthy? Swimia.com gives you the painless and quickest way to acquire Aquagym in Yokohama near your current location. 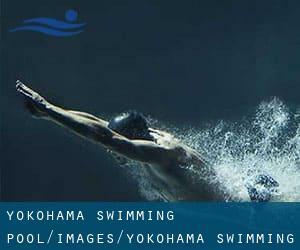 Regular users of the following varieties of Yokohama Swimming Pool told us essentially the most very important thing about swimming is to manage your breathing. Quite often this is not potential mainly because we raise the neck to breathe and also the body isn't aligned. To avoid this, our head should be aligned with our spine all of the time. Traveling to Yokohama? This is the right spot on the internet to discover places to swim in Yokohama. Every day you are not swimming you will be losing precious time in improving your skills to be a better swimmer! No alot more excuses! Get your nearest Yokohama Pool and tell us how it went. Tsuda 4 - 10 - 30 , Midori-ku , Yokohama , JAPAN (Postal Code: 226-0027). This sports center gives 25 meters, 4 lanes, Indoors. For this Pool, only phone number is number here. Asama Cho 4-340-1 , Nishi-ku , Yokohama , JAPAN (Postal Code: 220-0072). Among all the activities offered by the center, for anybody who is interested in swimming you will appreciate 25 meters, 6 lanes, 1 meters - 1.2 meters depth, 1 meters - 1.2 meters depth, Indoors. Just in case you want to make contact with this Pool just before dropping by, we only know the phone number. 3-18-1 Shin-Yokohama , Kohoku-ku , Yokohama , JAPAN (Postal Code: 222-0033). Among all the activities offered by the center, if you are thinking about swimming you can expect to appreciate 20 meters, 4 (narrow) lanes, Indoors. Just in case you wish to make contact with this Swimming Pool before dropping by, we only know the phone number. Sawatari 5 , Kanagawa-ku , Yokohama , JAPAN (Postal Code: 221-0844). Among all the activities offered by the center, if you are thinking about swimming you can expect to enjoy 25 meters, 5 lanes, Indoors. Just in case you want to contact this Pool before dropping by, we only know the phone number. 2-7-1 Sachiura , Kanazawa-ku , Yokohama , JAPAN (Postal Code: 236-0003). This sports center gives 25 meters x 15.3 meters, 5 lanes, 1.1 meters - 1.2 meters depth, 1.1 meters - 1.2 meters depth, Indoors. For this Swimming Pool, only phone number is number here. Kawanabe Cho 3-1 , Hodogaya-ku , Yokohama , JAPAN (Postal Code: 240-0001). Swimmers like you reported 25 meters, 7 lanes, Indoors. Unfortunately we do not have the e-mail address of this Swimming Pool, but we can provide you with the phone number. 1752, Toriyama-cho , Kohoku-ku , Yokohama , JAPAN (Postal Code: 222-0035). This sports center provides 25 meters, 6 lanes, Indoors. For this Pool, only phone number is number here. 2-21-1, Noshichiri , Sakae-ku , Yokohama , JAPAN (Postal Code: 247-0024). Swimmers like you reported 25 meters, Indoors. Unfortunately we do not have the email address of this Pool, but we can provide you with the phone number. 6-22-38, Konandai , Konan-ku , Yokohama , JAPAN (Postal Code: 234-0054). Among all the activities offered by the center, if you are interested in swimming you will appreciate 25 meters, Indoors. Just in case you would like to contact this Pool just before dropping by, we only know the phone number. Ocean Optical Stand 3 - 1 - 4 , Isogo-ku , Yokohama , JAPAN (Postal Code: 235-0045). Swimmers like you reported 25 meters, 7 lanes, Indoors. Unfortunately we do not have the e-mail address of this Swimming Pool, but we can give you the phone number. 7-3-1, Tsuzuki-ku , Yamate District , Tsuzuki-ku , Yokohama , JAPAN (Postal Code: 224-0021). Swimmers like you have reported Olympic size, 10 lanes, Indoors. Also, you will find Olympic size x 20 meters, 8 lanes, one 1 meters deep, the other 2.5 meters deep), Indoors. Just in case you wish to make contact with this Pool just before dropping by, we only know the phone number. Three ? Boundaries 7 - 1 , Seya-ku , Yokohama , JAPAN (Postal Code: 246-0022). This sports center provides 25 meters, 7 lanes, Indoors. For this Swimming Pool, only phone number is number here. 22-2 Seto , Kanazawa-ku , Yokohama , JAPAN (Postal Code: 236-0027). Swimmers like you reported 25 meters, 6 lanes, Indoors. Unfortunately we do not have the e-mail address of this Swimming Pool, but we can give you the phone number. 238-3, Kariba-cho , Hodogaya-ku , Yokohama , JAPAN (Postal Code: 240-0025). Swimmers like you reported 25 meters, Indoors. Unfortunately we do not have the email address of this Swimming Pool, but we can give you the phone number. 87-2, Shimizugaoka , Minami-ku , Yokohama , JAPAN (Postal Code: 232-0007). Among all the activities offered by the center, if you are interested in swimming you can expect to delight in 25 meters, Indoors. Just in case you would like to contact this Swimming Pool before dropping by, we only know the phone number. There are several reasons why it's best to choose a heated swimming pool in Yokohama. Essentially the most important one relies on the significance of keeping the body temperature stable. If the water is as well cold, your body will try to warm it up and you will shed strength to swim properly. One from the advantages of outdoor swimming in Yokohama will be the possibility to sunbathe during the summer season. Taking it with extra care, sunbathing is healthy since introduces Vitamin D into the body, so the perfect option seems to be switching between indoor and outdoor pools depending on the season. Enjoy the best indoor pools in Yokohama and don't worry about the weather. These facilities are open all seasons and you can enjoy a swim at the same temperature every day of the year.